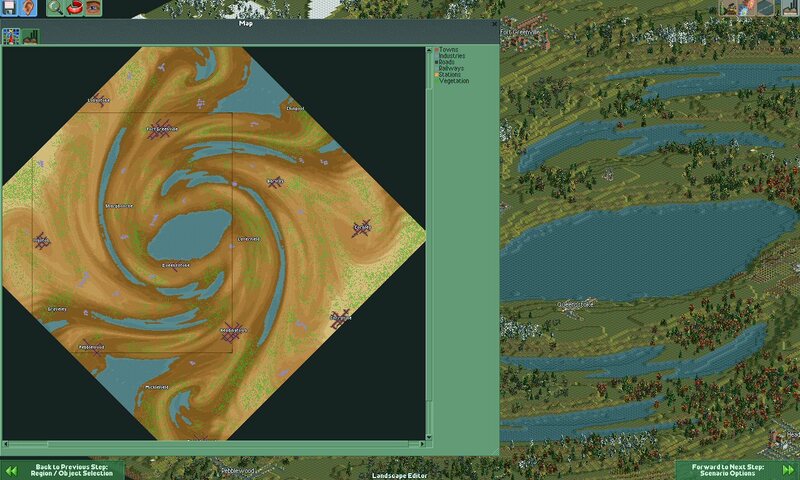 This scenario features a whirly looking, symmetrical terrain. Somewhat hilly, there are few rivers and a central lake. There\'s only 2 bigger cities and some villages. Industry is sparse also, and new ones won\'t pop up. You goal is to build a company worth of 60 million with a time limit of 35 years.